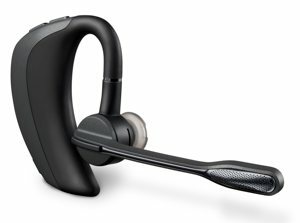 Plantronics Voyager PRO HD Over-the-ear with Smart Sensor technology redefines hands-free convenience, so you can answer calls simply by putting it on. Apps that offer tips, tricks and tools for your Android-based phone, brilliant HD audio and superior comfort make this the smartest headset for smartphones. The Plantronics Voyager PRO HD with Smart Sensor technology redefines hands-free convenience. This headset is so smart, that by simply placing it on your ear, it automatically answers your phone or transfers calls back and forth between your phone and headset. The Voyager PRO HD also boasts award-winning sound quality, noise cancellation, and three layers of wind noise reduction technology to ensure that your voice is heard clearly regardless of the sort of environment you're in. 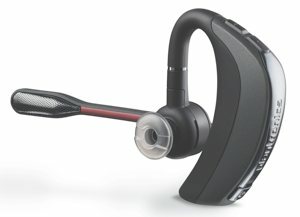 The Plantronics Voyager Pro HD. The Voyager PRO HD takes you beyond the headset, with the Plantronics MyHeadset app that gives you tips, tricks and tools for Android-based phones, combined with HD streaming audio plus natural sound and superior comfort and you've got the smartest headset for smartphones. Making and receiving calls is simpler with Smart Sensor technology in the Voyager PRO HD. 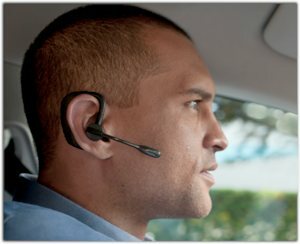 The headset knows when you are wearing it so it cleverly routes calls to the headset when it's on your ear and to the handset when it's not. 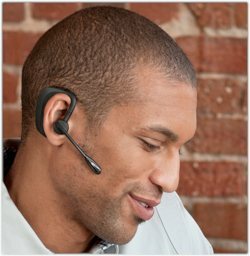 The Voyager PRO HD also has a locking call mechanism when it is not worn to eliminate accidental calling, and you can answer incoming calls simply by putting the headset on your ear--no buttons to press, applications to open or voice commands required. And if you are listening to music or other audio taking off the headset will automatically pause the stream. The Voyager PRO HD also features enhanced voice alerts that announce remaining talk time, connection status, battery-level, and mute. Smart Sensor technology knows whether to send calls to your mobile phone or your headset. WindSmart technology incorporates enhanced stainless steel windscreens and GORE acoustic vents, as well as an electronic filter within the mic circuitry, making call audio clearer and sound more natural. Once you have activated multipoint and paired your two phones, it's easy to answer calls from either phone. When already on a call, you will hear a ringtone notification of the incoming call from the second paired phone. To answer a second call from the other phone, you must end the current call (tap Call button) so new call automatically answers. If you choose not to answer the second call, it will go to voicemail. The MyHeadset app will do a sound check and familiarize you with the added functionality of your headset, such as streaming music.